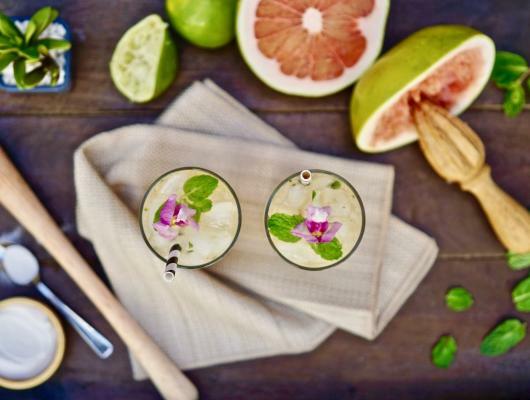 Using a cocktail shaker, add the fresh mint leaves and lime wedge. Using a muddler, muddle the mixture well, breaking the mint eaves up into smaller pieces. Add the Pomelo juice, lime juice and sugar. Continue to muddle until well mixed. Add the rum and a handful of ice. Shake vigorously for about 20 seconds. Pour into the desired serving glass with lots of ice. Top with club soda. Garnish with a fresh mint sprig and some edible flowers if you want to be fancy. 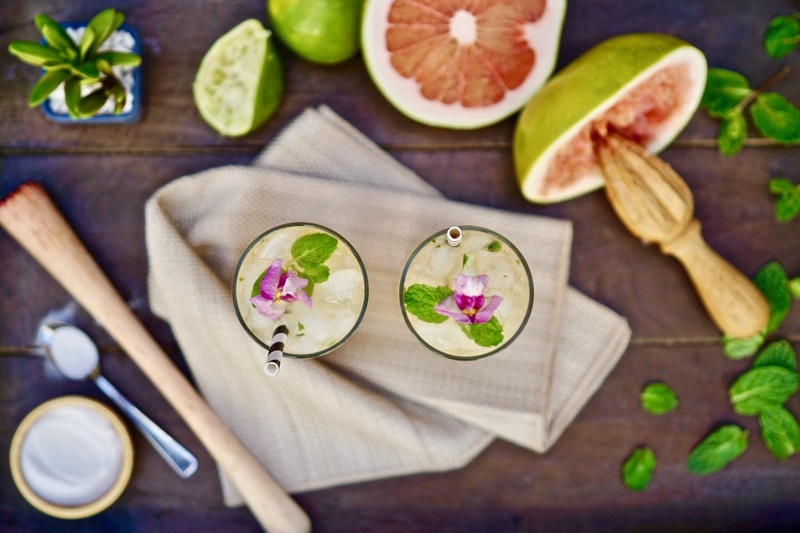 This tasty Pomelo mojito is light, refreshing and loaded with fruit flavor. It’s the perfect way to kick off the summer season.